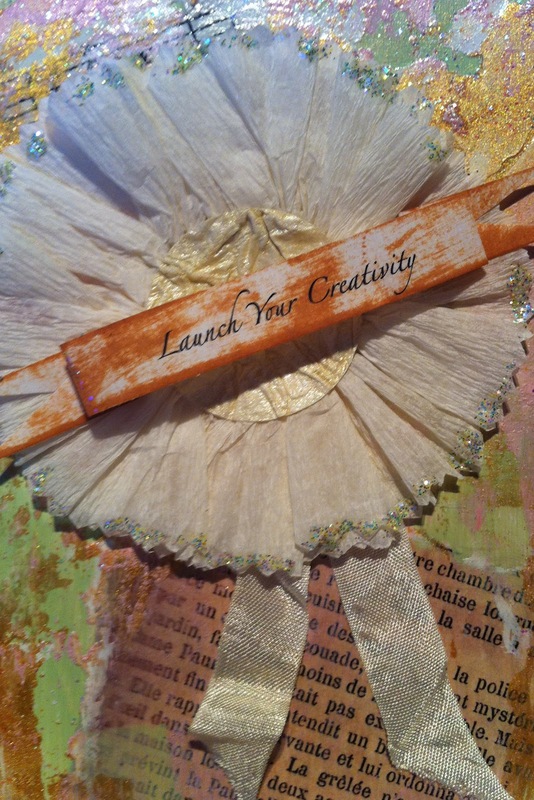 I want to encourage all - especially those gals between 40 and 60, 70, 80 to follow their creative dreams. It is never too late to reinvent ourselves. Remember Beatrice Woods started sculpting to international acclaim at the age of 70! Thank you for visiting! All photographs, artwork, and words on this blog are the property of Jenelle Van de Mortel. Please do not reproduce any content without express consent. You are welcome to link to any posts. 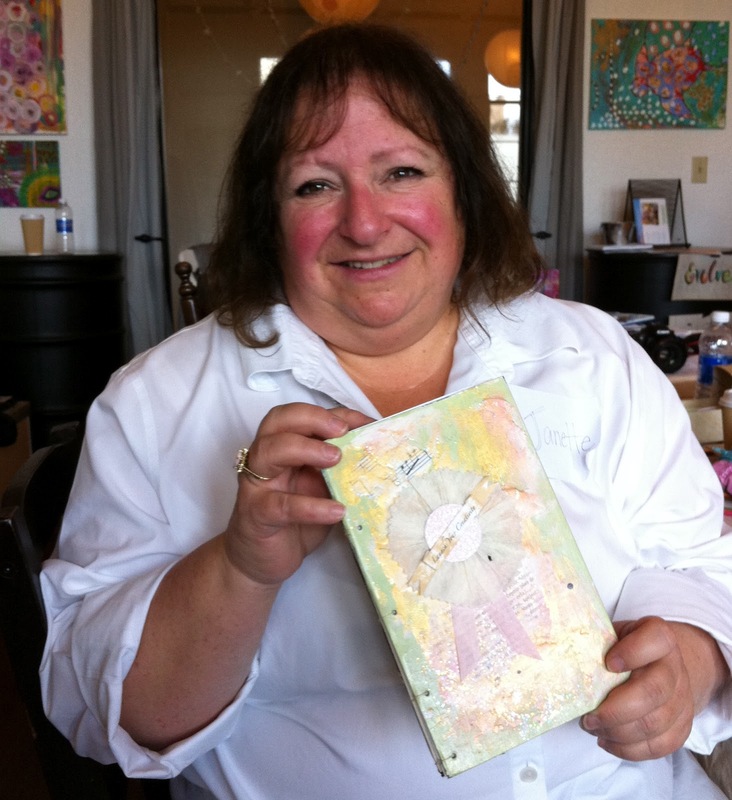 When Janette Ponciroli walked into the Quinn McDonald journaling class at Studio Crescendoh I immediately recognized her - but from where? We ended up sitting next to one another. I asked the usual litany of questions - do you take a lot of classes here? Have you been to Glitterfest? Do you take classes at Whimzy - couldn't figure it out. Then she pulled out her journal. I gasped "Oh my gosh, I made that!" Then Janette said what every journal maker wants to hear, "I've been saving it for something special". Almost a year ago I spoke at an event which Janette attended. I created coptic journals for the guests. I wanted the women to have a beautiful journal where they could write about their art, dreams, progress, life - a safe place. I made the journals and off they went. Janette's journal came full circle! What a delight to see her using it! She is pursuing her creative dreams in 2012 --what a privilege to be a small part of her journey.